How does Biltmore inspire designers? 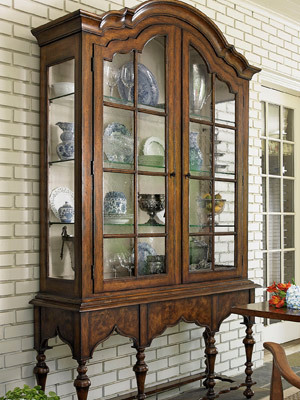 Our partners send their designers to the estate to soak in the history, the architectural elements, and the details of items in our collections of furniture, art, textiles, books, and more. The designers take many photographs, spend time in our archives, and have full access to items in storage. Our Museum Services staff provides invaluable insight, explaining the historical significance of collection pieces in detail. “Our furniture designers learn the stories about the pieces, which help them better understand the role the piece played in the Vanderbilt’s life and how to transfer that to today’s homes and lifestyles,” explains Christy Hodgins, Director of Marketing for Biltmore For Your Home. 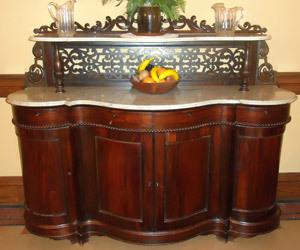 A fine, marble-topped cabinet in the Servants’ Dining Hall is a great example of this process. 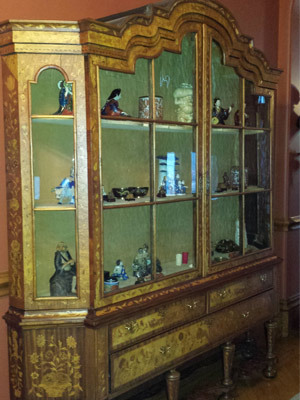 The cabinet originally belonged to “Commodore” Cornelius Vanderbilt, then passed to George Vanderbilt’s father, and eventually to George Vanderbilt himself, who brought it to Biltmore. 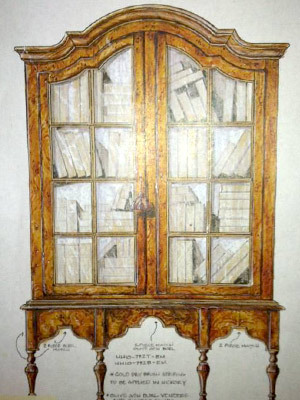 Designers took the basic structure of the piece and resized it to better fit in modern homes. They also added interior storage to make it more functional and appealing. 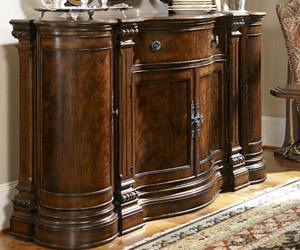 The history of the original piece inspired the name of the versatile Cornelius Cabinet. Of course, inspiration is not limited solely to interiors and architectural details—our partners also explore our historic gardens and landscapes for fresh ideas. There are luxurious bedding collections that reflect spring blooms and quiet paths; bath and body products that recall classic floral fragrances; and garden accessories drawn from Biltmore’s rich array of outdoor statuary, antique planters, and the rustic splendor of the Conservatory. Immerse yourself in Biltmore's past and present and learn more about Biltmore House and Gardens.